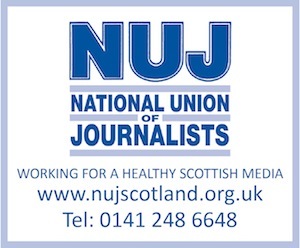 THE Scots Magazine is looking for a multimedia journalist to create digital content for the title – including monitoring activity and undertaking regular updates across all relevant channels. This is a fantastic opportunity to be part of the award-winning digital team working to bring the oldest magazine still in publication to a new online audience. Reporting to the brand content manager, the successful candidate will be based in the editorial team, creating original content for digital platforms and occasionally for print as required. The ideal candidate will have a proven track record in digital journalism and the ability to create compelling, readable content and social media updates in line with the values of this successful magazine brand. You will also have a clear commercial focus on how to maximise the revenue potential of the title’s digital offerings. An excellent command of written English, an awareness of copyright law, media law and GDPR, and the ability to meet tight deadlines are essential to this role. You will also be expected to have an understanding of social media schedulers and algorithms, Google Analytics and SEO optimisation. A working knowledge of video editing software would be an advantage. Closing date for applications is 18th February 2019.